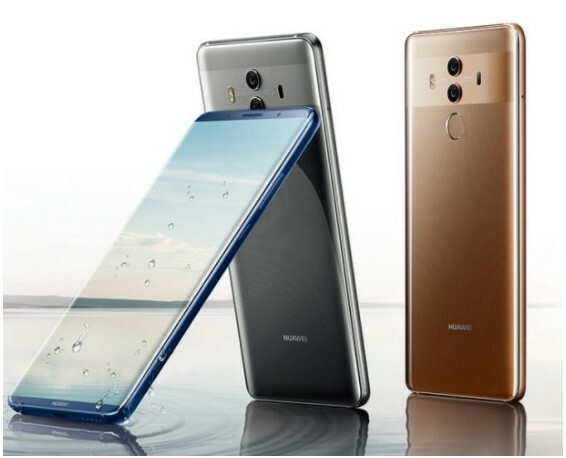 As a flagship smartphone, Huawei Mate 10 Pro and premium version of Porsche Design comes with the best specs owned by the company. Not only comes with the camera setup from Leica, the thing that makes this smartphone impressive is the support chipset that has a special core for AI. 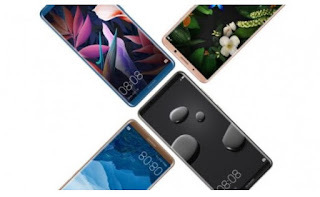 As for Porsche Design appear more luxurious, but has the same specifications with Mate 10 Pro. For design, Pro and Porsche Design variants come with a very stunning design. Like most flagship smartphones today, the Mate 10 Pro comes with a full-screen display, which makes the front of the smartphone is dominated by the screen. The upper and lower bezel of this smartphone looks very thin. Huawei Mate 10 Pro has a 6-inch AMOLED screen and has an 18: 9 ratio, like most other full-screen smartphones. But for the resolution, it seems Pro variant for this year is not as high as last year. Mate 10 Pro has a FHD screen resolution of 1080 x 2160 pixels for carrying the ratio of 18: 9, and has a 402ppi pixel density. While the Mate 9 Pro that slid last year has QHD resolution (1440 x 2560 pixels, 534ppi) but still uses conventional ratios. But still, the screen on the Mate 10 Pro is going to spoil its users, where in addition to almost no bezel, this smartphone screen also supports HDR10 feature and has a superior viewing angle. As for photography, Huawei took Leica to create a dual-camera setup consisting of a 12MP color sensor and a 20MP monochrome sensor. For color sensor features Optical Image Stabilization, and a bright aperture, ie f / 1.6. As for the second sensor has a f / 2.2 aperture. With the configuration, of course we can expect this smartphone camera is able to work well in dark conditions. Shifting to specification, Mate 10 Pro comes with AI-based chipset, the Kirin 970 which supports real-time scene detection feature which automatically selects the best settings. In addition, AI support on chipsets can also enhance digital zoom and motion detection. The Kirin 970 chipset also carries the Mali-G72 MP12 GPU which is the first chipset with the new GPU. ARM itself promises if the GPU has a 40% better performance than GPU G71. While the 10nm manufacturing process makes power consumption on this chipset more efficient. Both variants Mate 10 Pro or Porsche Design comes with 6GB of RAM, but for internal storage Mate 10 has a capacity of 128GB while Porsche Design 256GB. Mate 10 Pro comes with the latest EMUI 8.0 interface interface that already uses the base of Android 8.0 Oreo. Because of this longer smartphone screen, of course the split-screen feature will feel more comfortable when running two applications simultaneously. In addition, there is also DisplayPort support to connect to the monitor device. Armed with USB Type-C, this smartphone has a fast charging feature that can recharge 4000mAh battery quickly and safely. Huawei itself promises, by charging for 20 minutes you can use this smartphone all day. Unlike the Mate 10 which is still susceptible to water, Mate 10 Pro comes with an IP67 rating that makes it resistant to water (1 meter to 30 minutes) and dust. Unfortunately, to achieve these features, Huawei must eliminate 3.5mm audio jack on this smartphone. Both the Mate 10 Pro and Porsche Design will be available in mid-November. Mate 10 Pro for € 800 while the Porsche Edition Premium is priced at € 1,400.